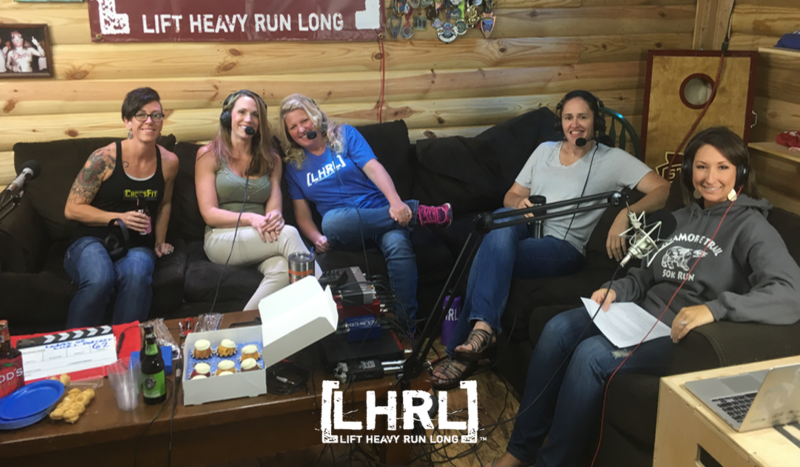 This week on the Lift heavy Run Long® Podcast, we decided to change things up a little bit. We got rid of the dead weight (the men) and brought in the heavy-hitters (the ladies). This provided a unique and interesting perspective into how females approach fitness and their goals. It was very insightful, and we hope to make it more of a regular thing. It was informative, entertaining, and powerful. Let us know what you think. 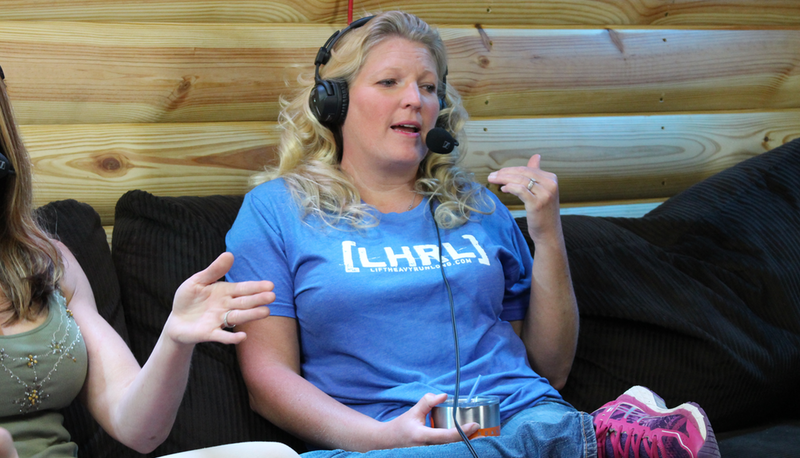 Laura Pinckley is an Air Traffic Controller at Memphis Center, mom of three kids and married to a Crossfit coach. She gets paid to talk all day long for work but in her spare time, she yells (encouragingly) at folks in the gym for free. Although she loves deadlifting most of all, she is always looking for new ways to exercise and is currently attempting to learn immersion swimming for open water distances. She hopes everyone is lucky enough to not only find the exercises or sports that keep them healthy and energized but that they also find a group of folks that keep them laughing until they pee their booty shorts. Jenny Lovitt was the original frumpy, overweight teenager, who was bullied and teased. She finally decided, at the age of 16, to take control and learn about proper nutrition and exercise. She truly believes that without that experience, she would not be the person she is today. She learned to never judge a book by it’s cover, always assume people are going through something painful, and always treat people how you would want to be treated. It has been a long journey for Jenny, in regards to health and fitness. She has since had 2 children and with each gained 70 lbs. 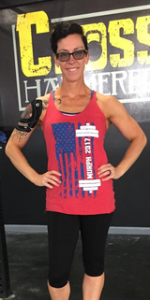 Needless to say, exercise has always been a necessary evil, but it wasn’t until she found Cross fit that it became fun. In the past, she worked out and dieted, out of fear of becoming that little, teased, 14 year old, who still lives deep within her soul. To this day, she can still hear that little girl, every time she looks in the mirror, telling her to stay strong, don’t let them see you cry, and smile through the pain. If she could talk to that girl now, she would tell her, “You are beautiful, you are strong, and you will be a force to reckoned with!” She can actually say, she now loves the person she has become. Never count out the frumpy caterpillars because they will eventually turn into a butterfly, and there are no limits on how high they can fly. 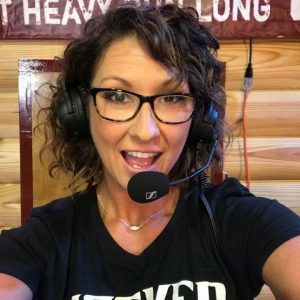 Amanda Drogmiller is the owner of Starting Gun Events which focuses on bringing cost effective running events and programs to her local area. She started the first running series as well as the first Women’s Run/Walk program in Desoto County. Her business has helped raise over 30,000 dollars for organizations like the Red Cross, The Cystic Fibrosis Foundation, and local law enforcement agencies. Amanda has completed numerous triathlons, ultras, marathons, and other running events. 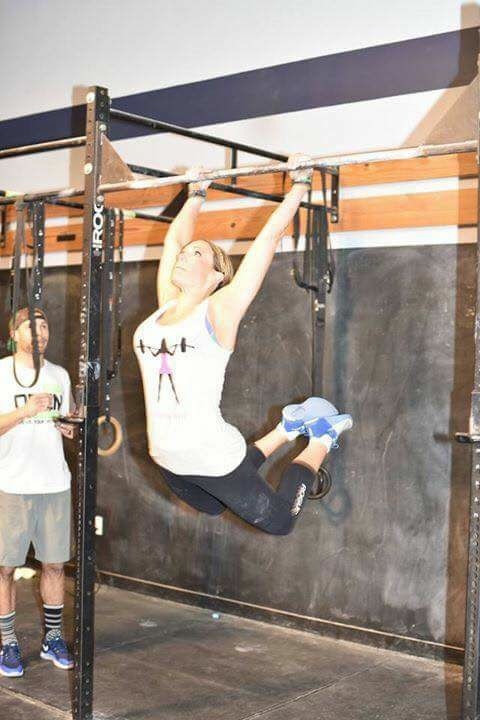 Amanda is also a CrossFit Level 1 trainer at Olive Branch Crossfit and at Crossfit Hammered Steel and has organized and competed in CrossFit events held at her local box. She strives to bring a positive and healthy environment to her local community and be a strong and empowering role model for her three sons. Amanda has made HUGE gains throughout her fitness journey, and is an incredible inspiration to those in her life. Amanda recently achieved her L1 Certificate through CrossFit, and is acting as an instructor for classes at Olive branch CrossFit. She has a history of running towards the goals which give her the most fear. She has many qualities, but her courage and mental fortitude stand out. Stacy Cail is a native of Olive Branch, MS. She has been married to Gary Cail for 10 years. Together they raise their blended family of 8 children. As if that doesn’t keep her busy enough, she also is a full-time nurse at Olive Branch Methodist, and a volunteer fire fighter at Fairhaven fire deptartment. On top of her daily jobs, she also is a dedicated Cross Fit member. Stacy has been doing CrossFit for almost 3 years. 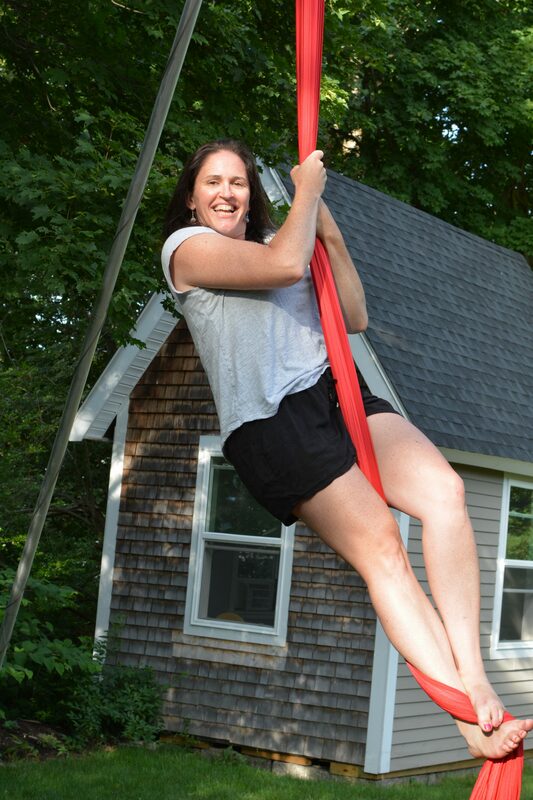 She is committed to health and fitness, and tries to instill that in others.